What You Need to Know for the Next Event, And Spoilers! 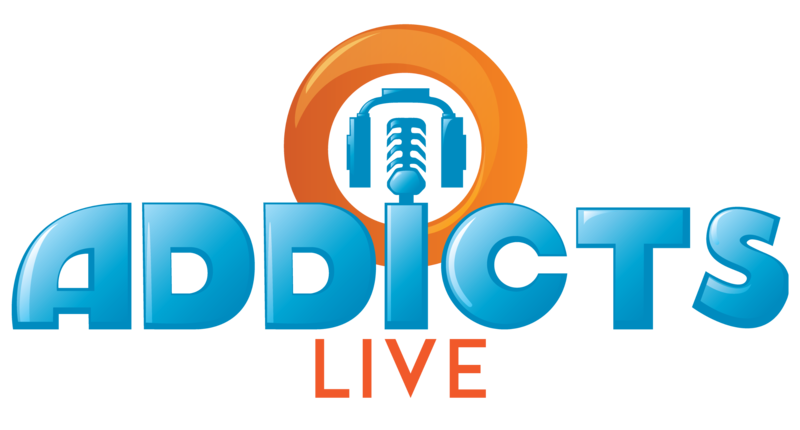 So as we teased about 6 minutes into the last episode of Addict’s Live, we received the spoiler/details content packet from EA Friday evening for the next event! As you may remember, we’ve all signed onto an NDA (Non-Disclosure Agreement) with EA over the summer to receive early information about events. Since that time there’s been some confusion about what can/cannot be posted and when. Sometimes dates are specified as to when we can post, and other times no dates are specified. So we’re never quite sure what is and what isn’t under embargo until the event is released. So, what did I say all of that? Well mostly to let you all know why we’ve been very cautious about information released and some other sites may not be as cautious. Now, all that being said there is some information I feel comfortable releasing to you know that the next event is so close to starting. Some basic information I’ll share at the top of this post, and more spoiler information we’ll cover below the fold. So if you don’t want to know, and you enjoy being surprised, you can still be surprised but you’ll know some rough information about the event that may help you get started. -The event starts on January 23rd (10a ET/1500 UTC) and ends February 19th. -Because it’s a multi-event that means there is no crafting. -For Act 1 Lisa, Marge, and Bart are required for the first objective. 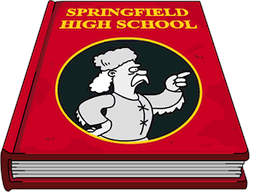 -In addition to the core Simpson family, you’ll also want to keep Milhouse, Flanders, Ralph, Skinner, and Martin free for Act 1 tasks. -There will be a brand new feature with this event. Something that we’ve long been requesting since the game started. Something that’s as much of a TSTO game changer as the Nuke button was. While there’s no actual specific rule on if I can or cannot tell you about it directly, I’m exercising caution. But I think you guys can picture how much this will help with Springfield Showoffs. -Mystery Box is coming back. This one launches tomorrow and runs through the end of the event. And is basically similar to the one we had for Valentine’s Day last year. 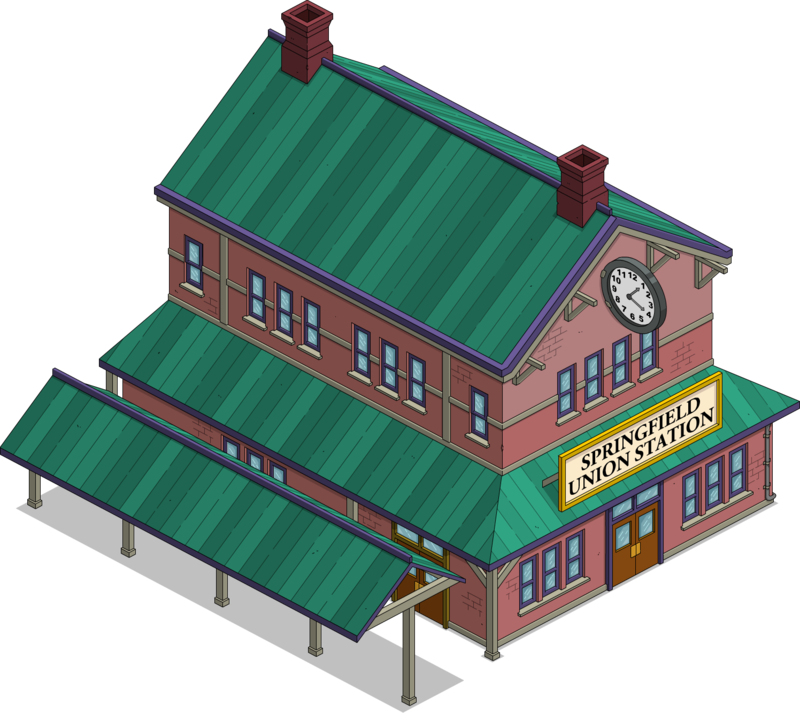 -Act 1 Prizes include MR. BERGSTROM, Springfield Union Station, and 3 other buildings. -Gil makes an appearance in Act 1, literally tomorrow according to the info packet. 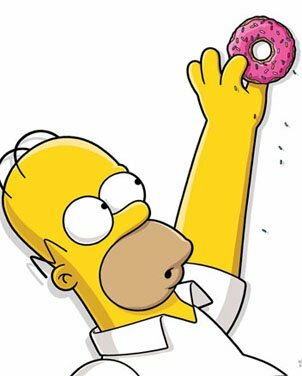 -Another Donut Promo will be available, cash for donuts + extras. And there you have it my friends. A few written spoilers and a few visual ones. Thoughts on the early Valentine’s Day info? Excited to see what happens? Excited for the multi-event format? Thoughts about the multi-event format? Sound off below, you know we love hearing from you! 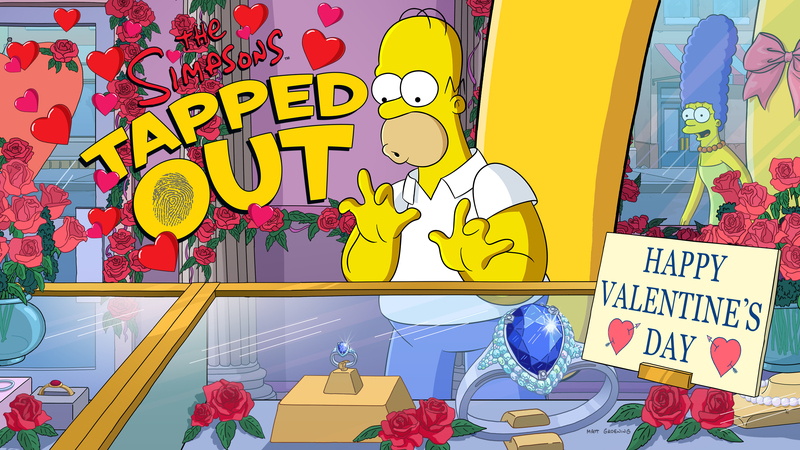 This entry was posted in spoilers, Tips and Tricks, Updates and tagged i've downloaded the update but it hasn't started, spoilers for the next event in TSTO, Tapped Out Tips and Tricks, The Simpsons Tapped Out, TSTO Addicts, TSTO spoilers, TSTO Tips and Tricks, what is the next event in springfield, what's included with the valentine's day update, Whats next in TSTO?, when does the valentine's day update start?, when will the next event hit springfield. Bookmark the permalink. “We tried nothing, and we’re all out of ideas!” Love that episode! 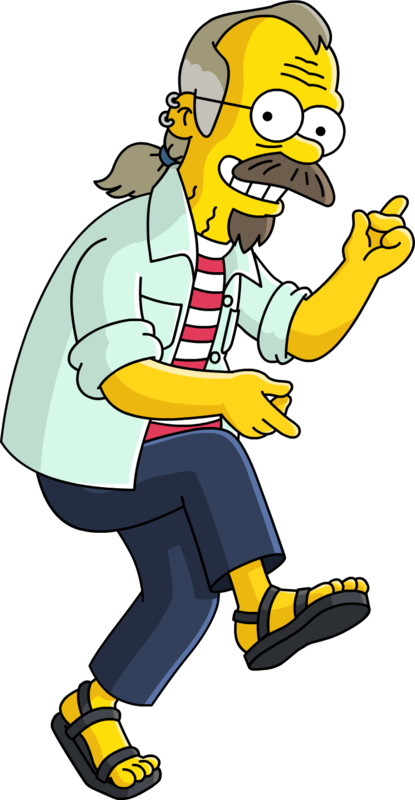 According to the Simpson’s Wiki that dance instructor is voiced by Tress Macneill. She, along with Maggie Roswell voice a lot of females in the show. Which leads me to this. If they can have characters voiced by Dan Castellanta, Harry Shearer, Hank Azaria and other male voice actors why can’t do the same with the female voice actors and characters? I’m so disappointed that no one asked why event hasn’t started yet 😢. Those where always the best comments. Sounds like another boring event what are e.a trying to do put people off playing the game. Updated game. Got the 9 pieces of land that were missing on the far right and when I got them with free land tiles GGR says I bought all the land even thou I saved one piece (not purchased). Now GGR is paint out money 300 every 12 hours instead of land tiles even thou I still have one left to buy. Need this glich fixed EA. I was able to use the new town portrait feature without issue (iOS 12.1.2). 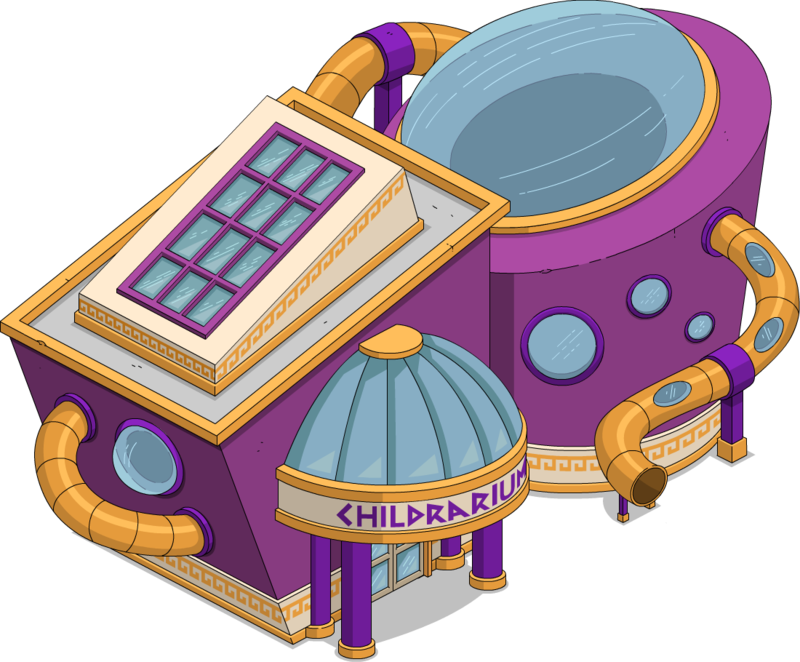 It did take a very long time – my Springfield (lvl 636) is “significant” but probably smaller than power players. Oooh, I updated and am very excited about the Town Portrait! It crashes when I get to the point of saving the image to my device, but I’m sure they’ll get it working soon. Being able to see an image of my whole town at once is really going to help me work on my design, especially around the margins where I right now just have a lot of random stuff stashed. And the event sounds fun — looking forward to it! Anyone else’s Golden Gooose Realty missing since updating? Just confirmed mine is still there where I left it, generating precious land tokens as we speak. I’m liking the new “Town Portrait” feature!!! Now I don’t have to download those photo-stitching apps. But, you need to tapped on the picture of TSTO to bring you to the App itself. Little Vicki? Usually not a fan of Valentines but this could change my mind!!! The new event is live in the play store, including the new screen capture option. The ios update is available. But the town image captire crashes the game every time. Do you have an older device? My iPad crashes every time, and it’s very old. I was able to use the feature on my phone. The “picture” thing was a long-standing dream. I’m so happy! I just got the update on my iPhone, and it has a snapshot of your town button. It’s a Town Portrait and asks if you want to export the photo of your Springfield. Update now available on iOS. New format is good. Before I had to play nights as well. Too much. I hope we will get to zoom out more.that would make it easier to take screen shots of all of my new area for an event at once. Maybe the rollback glitch will finally be fixed………or maybe that’s just wishful thinking. It’s unlikely that they put any engineering effort into fixing broken games when they have the rollback as a solution. If the player chooses to rollback immediately after being hit, the loss is neglegible, even during an ongoing event. I’ve only lost four days of progress with the three rollbacks I had to cope with last March and April and I still managed to finish the events and get everything. Choosing to keep on playing without rolling back was a gamble that wasn’t really promising in the first place. Yay!!!! So far I love everything about this! Me and my mom used to crack up at Love, American Style when I was a kid. Such campy, cheesy fun. I’m really appreciating the less time consuming events. Mr. Bergstrom, Flanders’ Beatnik parents and Milhouse’s GF! The only thing better would be Itchy and Scratchy’s GF’s in the mystery box. Happy to have a real Valentine’s Day event instead of a little event in an event or a few store items. So does that mean multi events are replacing the major events now? I don’t mind if they do since major events do usually drag on for too long. The new format is just dull and feels like something is missing, it’s too easy and doesn’t involve any effort. (By us or EA…especially when 20%+ of the items are free land tokens). I’ve asked for some of this content for SO long so can’t wait!! Also that “picture” feature, if it is what I think, so PERFECT! I’m hoping for a search feature in the inventory so I can find the stuff I want to include for the show off.